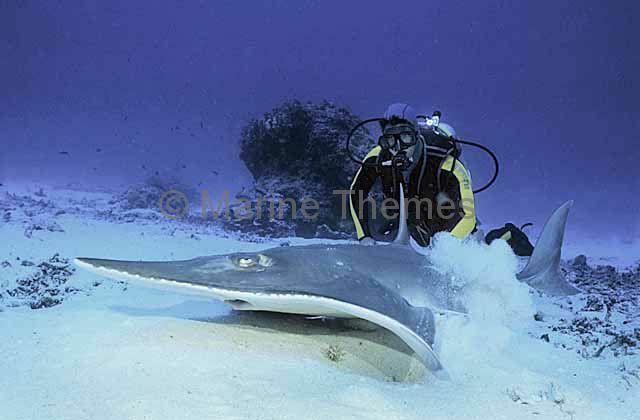 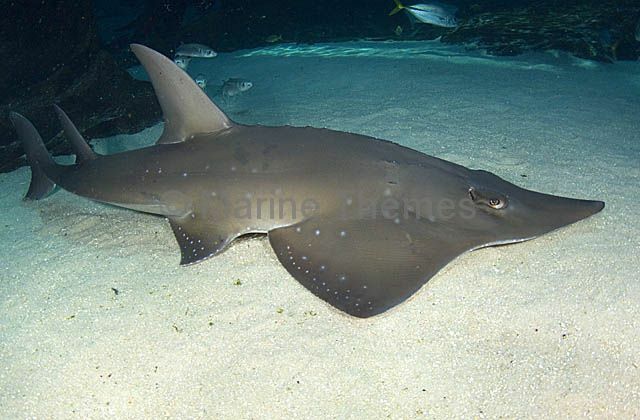 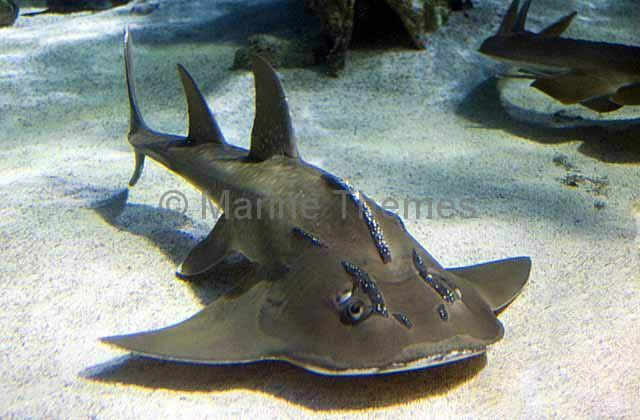 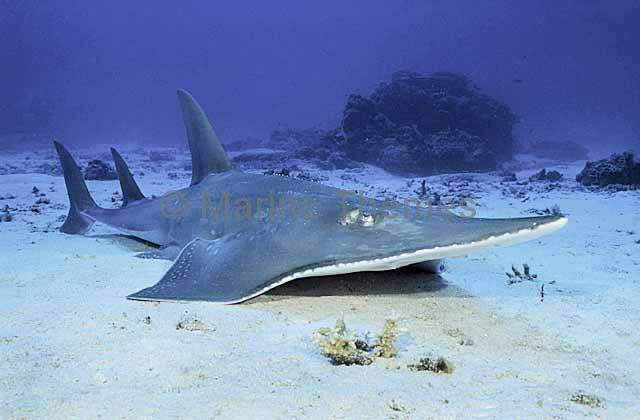 Shark Ray (Rhina ancylostoma) foraging over sandy seabed. 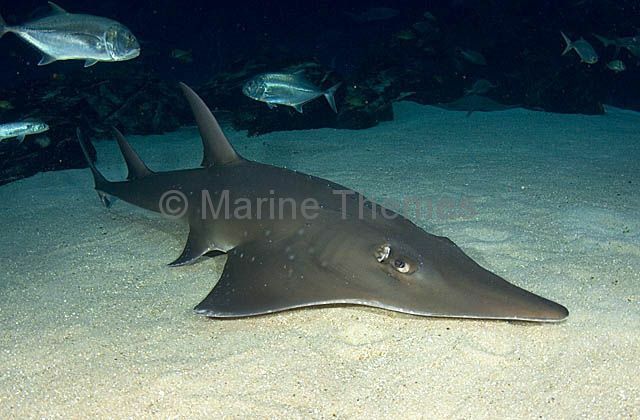 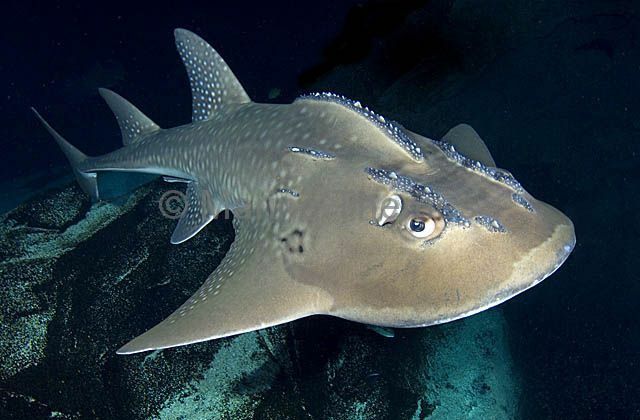 Shark Ray (Rhina ancylostoma) swimming among coral reef. 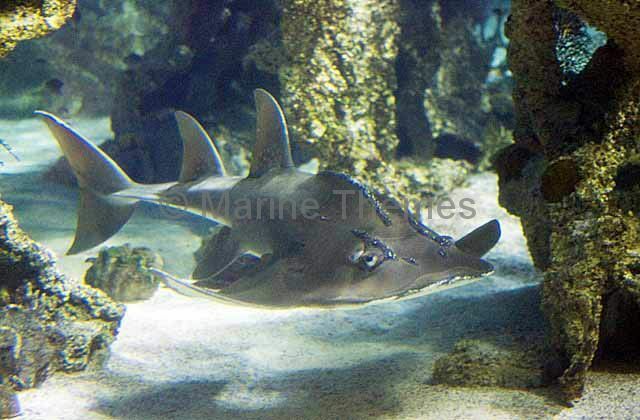 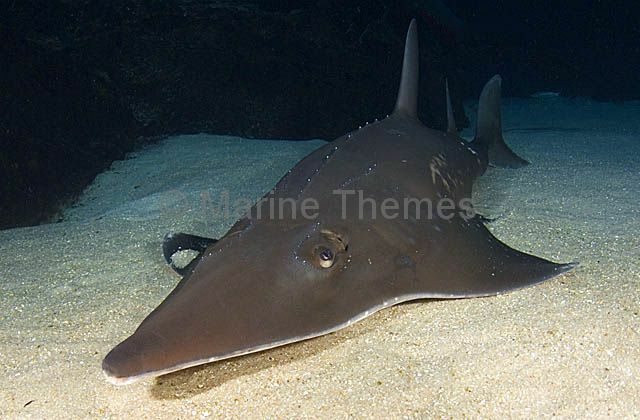 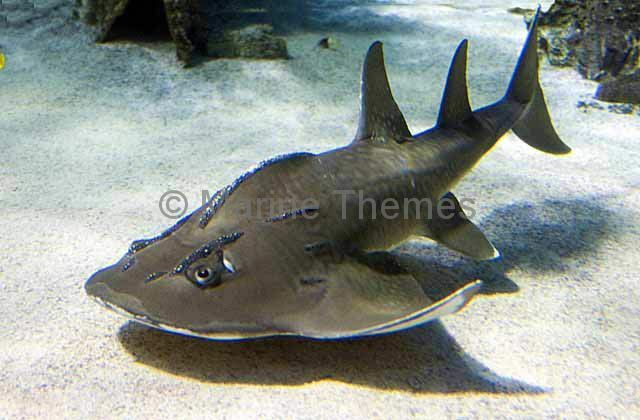 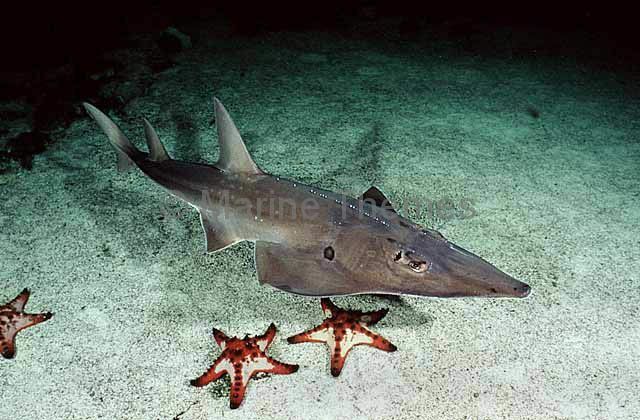 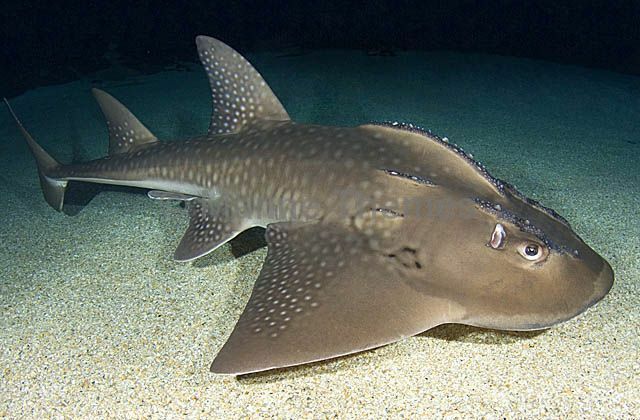 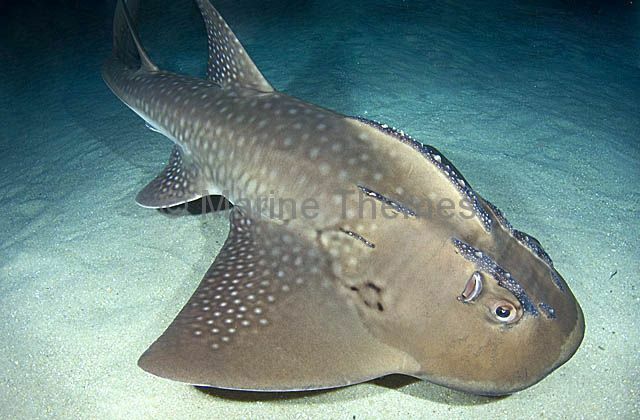 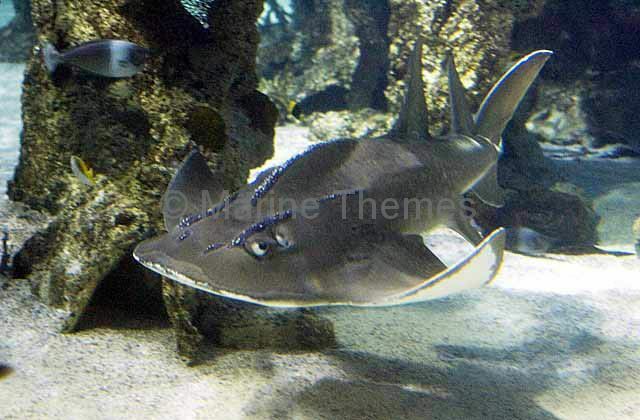 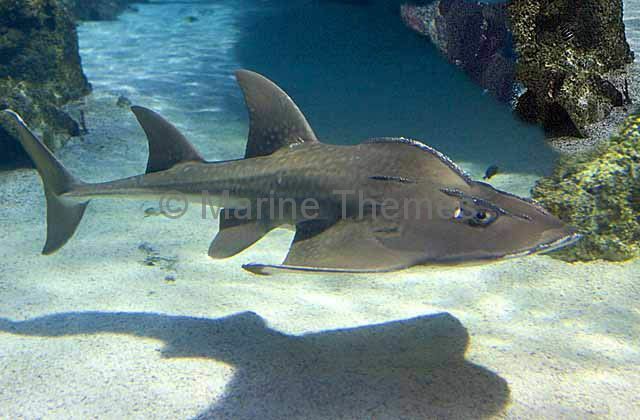 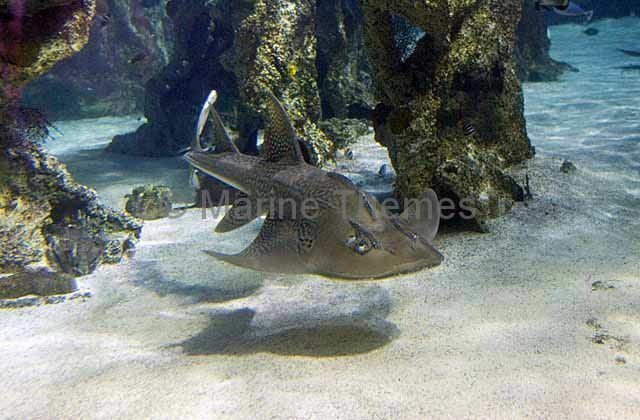 Bowmouth guitarfish (Rhina ancylostoma) foraging for small crabs and shells over sandy sea bed. 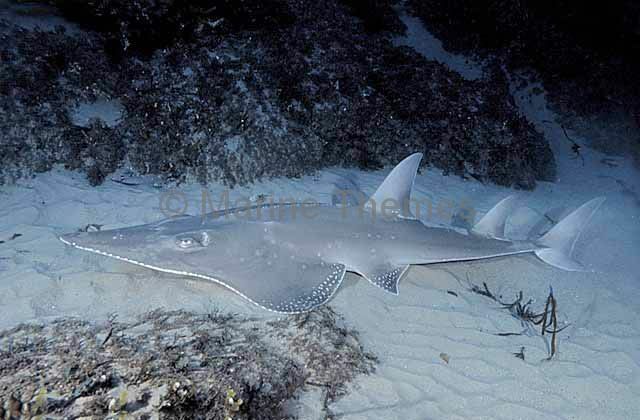 White-spotted Guitarfish (Rhynchobatus djiddensis) Juvenile colour pattern. 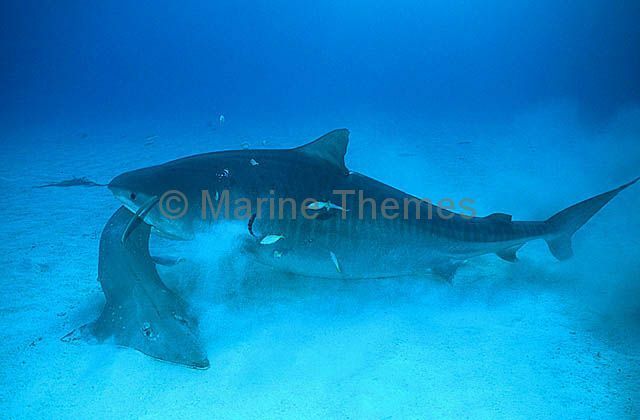 Tiger Shark (Galeocerdo cuvier) killing and eating White-spotted Guitarfish (Rhynchobatus djiddensis).